Why charter a gulet with Gulet Cruise Selection? We will show you what it means to really relax... Sail with us! Gulet is a comfortable wooden yacht, using engine power and sails for navigation. Charter gulets are perfect for people who want peaceful, relaxed and comfortable sailing, more space and privacy. Charter gulets come fully crewed and the gulet's crew takes care of your safety and comfort while chef provides you with the best local specialties. Another benefit of a charter gulet is the possibility of making your own itinerary. Charter gulets are perfect for groups of up to sixteen people, which means you can bring your family or friends. Chartering a gulet for team building activities has become very popular recently. Another benefit is the possibility of chartering a single cabin. Today's gulets are equipped with almost all of the amenities of home and offer a relaxing environment in which you can forget all the hustle of everyday life, lie back and enjoy yourself. 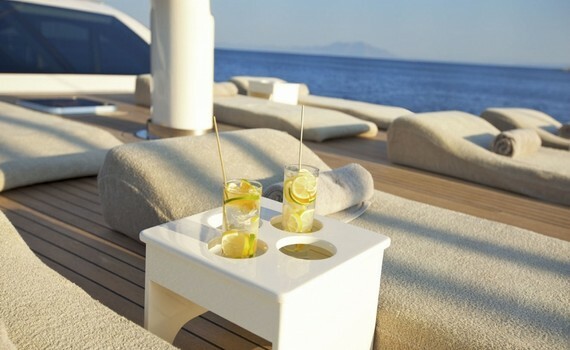 Apart from the amenities providing more living comfort, such as TV, Phone and Fax, air conditioners, refrigerator, deep freezer, music system or sun beds, most of gulets include equipment designed for sports and/or leisure activities in their offer to make your sailing holidays even more exciting. Such equipment includes diving and snorkelling equipment, fishing rods with accompanying tools, waterskis, a banana boat, canoes, speed boats, etc. Some even have jacuzzi or Turkish baths in their offer! Pure enjoyable holidays! 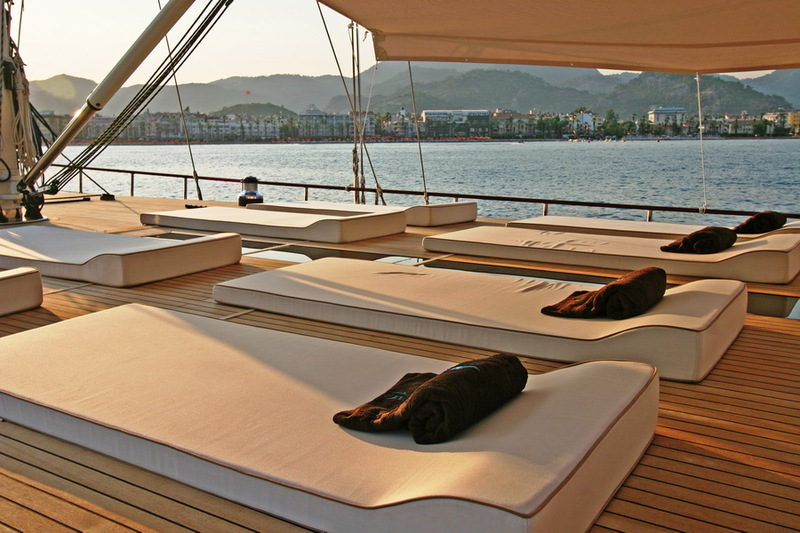 Exclusive 6-cabin, 12-person gulet offering all the luxury during your cruising, including turkish bath. Enjoy being treated like kings! 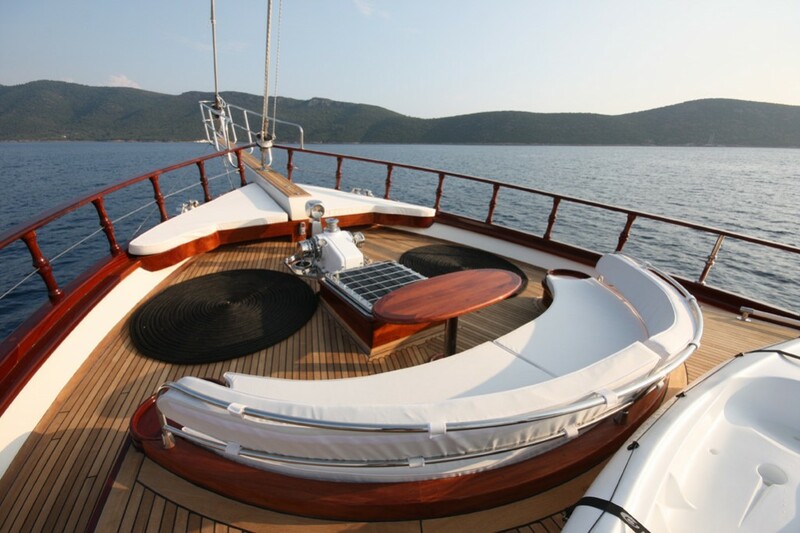 Enjoy sailing in class on this modern, exclusive gulet with beautiful interior design, accomodating up to 10 guests. 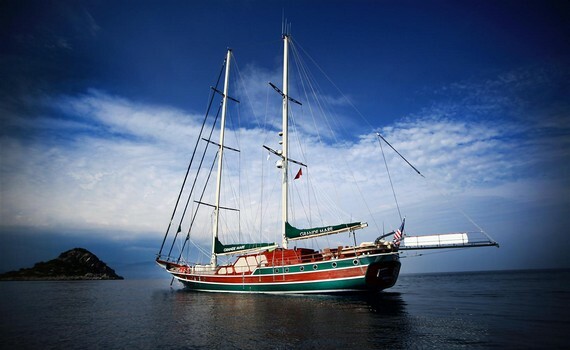 Luxurious 4-cabin, 9-person gulet offering state-of-the art technology and wonderful choice of amenities. Gulets are an excellent sailing option. If you want to explore other possibilities for yacht charter, find more information on our other pages. Sailing Catamaran Yachts offers you information on why you should charter a catamaran, how to choose and charter it, what types and sizes you can expect and what the top spots for charter are. Power Boats Charter gives you an overview of the types of motor yachts, as well as some useful chartering tips. You will also find information on the most popular motor yacht charter destinations on this page.